While the man may have a difficult time defending against the possession of heroin charge, he does appear to have at least two potential defenses to the unarmed robbery offense. First, there is no indication that the man used any force or violence to take the money orders – to the contrary, it appears that he simply grabbed them and left the store. Therefore, it seems as though the Commonwealth will not be able to establish the fourth element of the offense. Moreover, the man may also be able to raise an affirmative defense: that he had an honest and reasonable belief that the gas station owed him the money that he took. Under Massachusetts law, if a defendant raises some evidence of a belief that he had the right to take the property because it was his property or because it represented a debt due to him, then the Commonwealth must demonstrate beyond a reasonable doubt that this belief was not honest and reasonable before a jury may convict the defendant. Specifically, a jury cannot find that a defendant had the requisite intent to steal the property in question and/or deprive the owner of it permanently if he had an honest and reasonable belief that the property was his or owed to him. 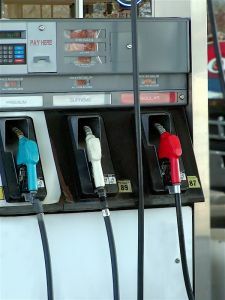 Given the fact that there clearly appears to be some question as to whether the man was owed back pay by the Sunoco station, he may well be able to raise this belief as an affirmative defense to the charge of robbery. Even though the man may have a legitimate defense to this charge, he will still need a skilled lawyer to sift through the factual issues in the case, including the basis for his belief that he was in fact owed money, as well the reason why his employment at the gas station ended in the first place. Likewise, if you or a loved one is facing a criminal charge for which you have a potentially strong defense, you will still need an experienced attorney to put that defense into motion. Attorney Daniel Cappetta has been practicing criminal law for many years and has obtained favorable results for numerous clients. Call him for a free consultation today.